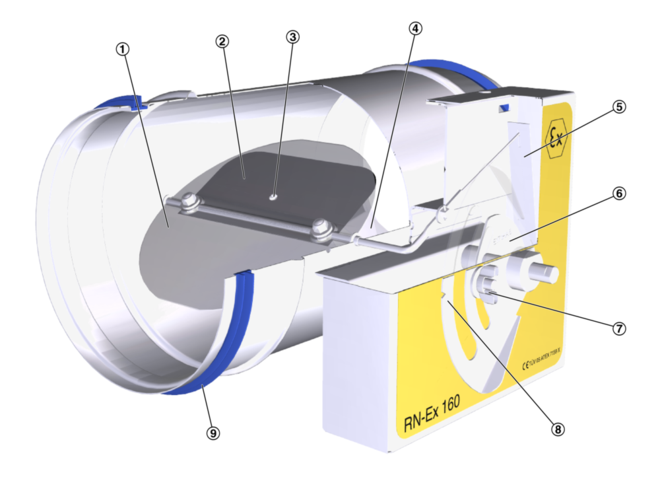 The advantage over flow adjustment dampers is that there is no need for repeat measurements or adjustments by an air conditioning engineer. 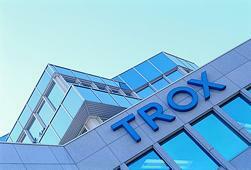 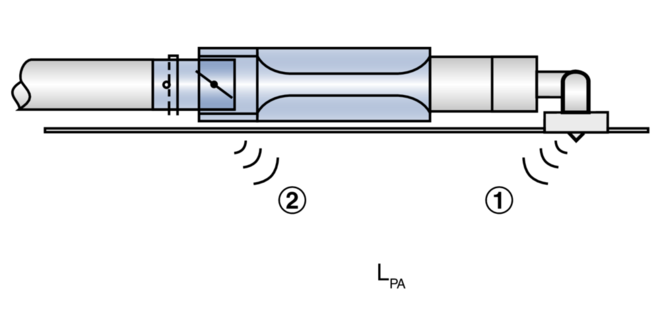 Should the system pressure change, e.g. 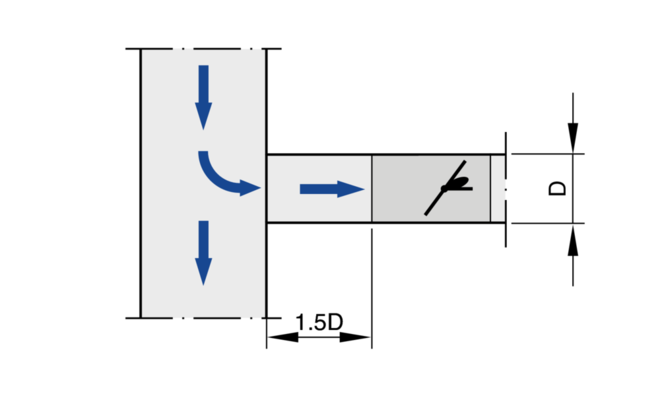 by opening or closing of duct sections, the flow rates in the entire system will also change if flow adjustment dampers are used; however, this is not the case with mechanical self-powered volume flow controllers A mechanical self-powered controller reacts immediately and adjusts the damper blade such that the set constant volume flow rate is maintained. 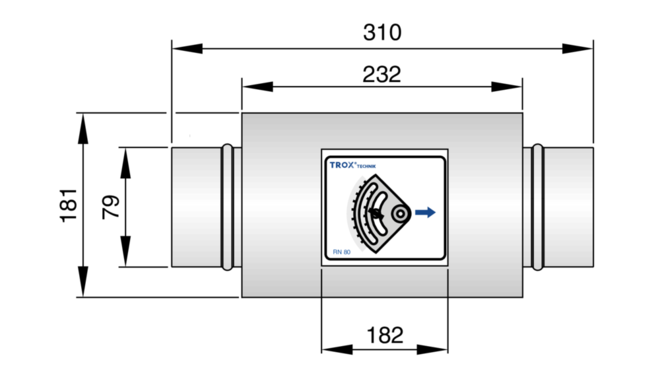 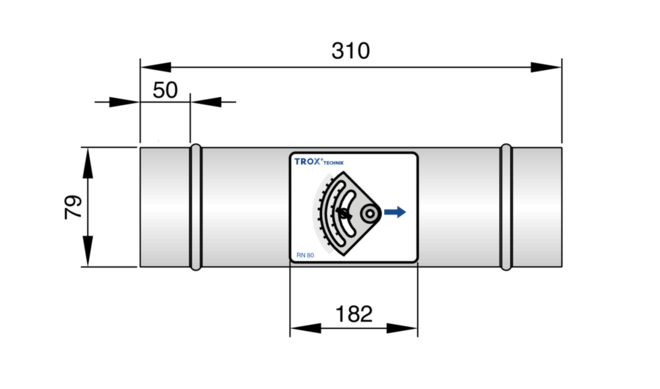 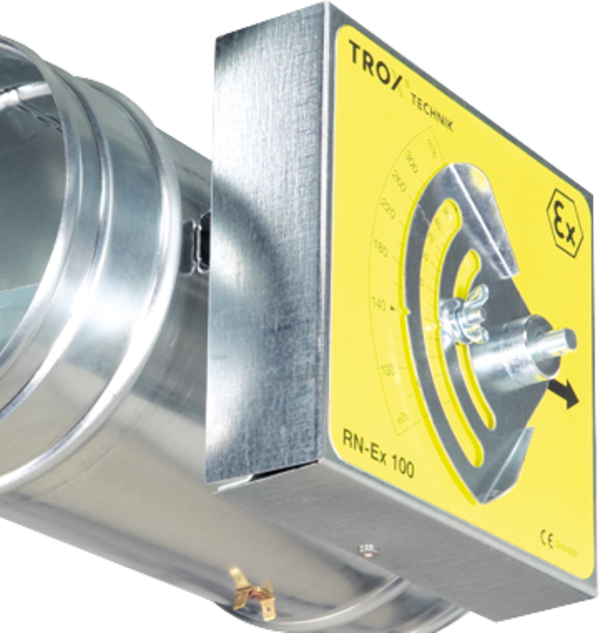 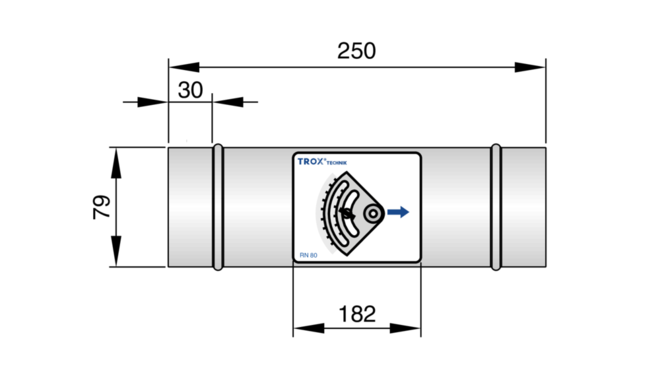 The minimum differential pressure of CAV controllers is an important factor in designing the ductwork and in rating the fan including speed control. 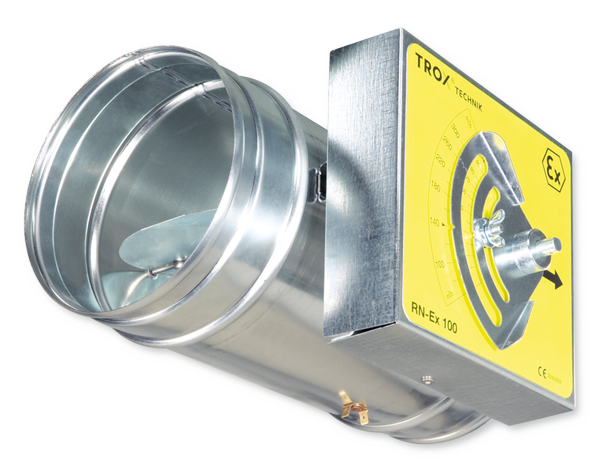 Circular volume flow controllers for constant air volume systems in potentially explosive atmospheres, mechanical self-powered, without external power supply, suitable for supply or extract air, available in 8 nominal sizes. 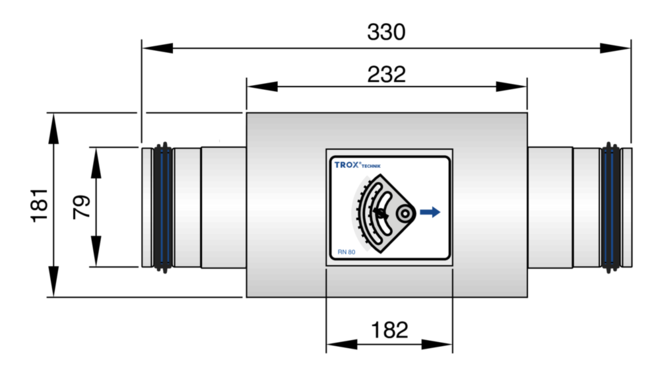 Spigot with groove for lip seal, suitable for connecting ducts according to EN 1506 or EN 13180. 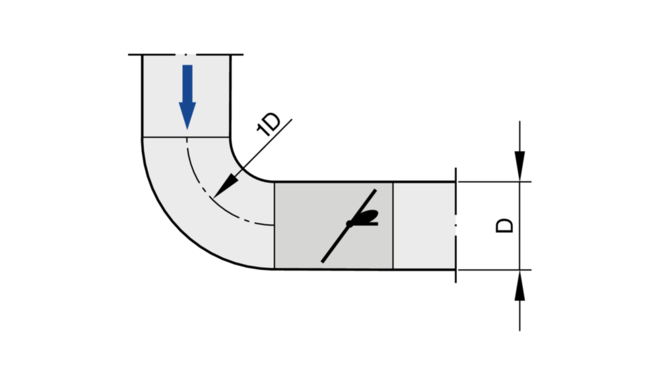 A bend with a curvature radius of at least 1D – without an additional straight duct section upstream of the CAV controller – has only a negligible effect on the volume flow rate accuracy. 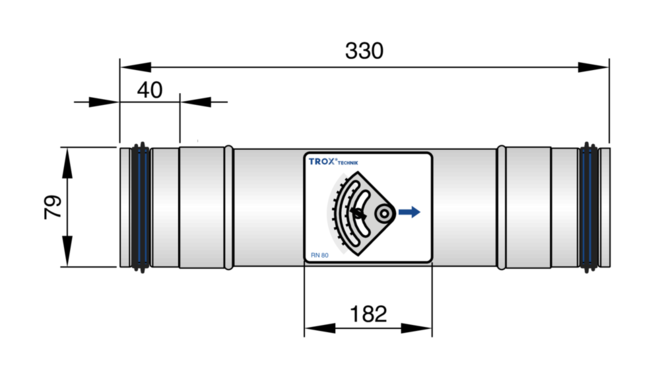 Free air intake only with a straight duct section of 1D upstream.